The nearest hostel from the Atomic Bomb Dome. 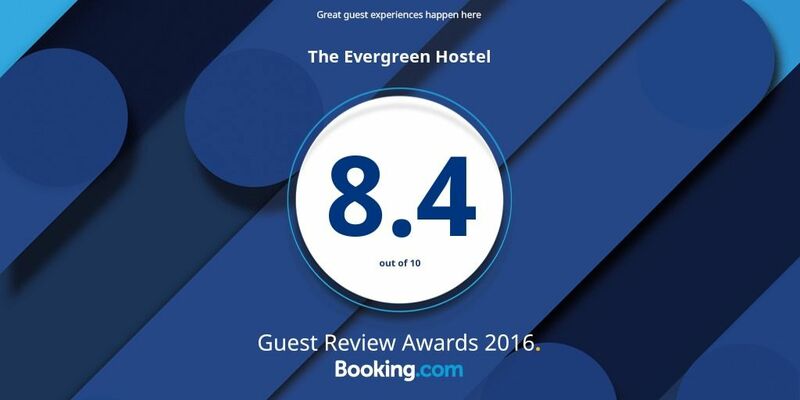 THE EVERGREEN HOSTEL! 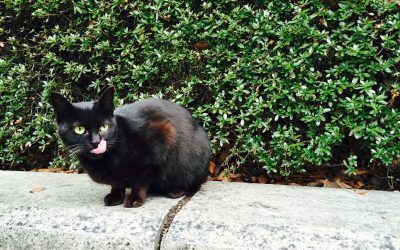 Prices start from 2,900 yen for 1 night. 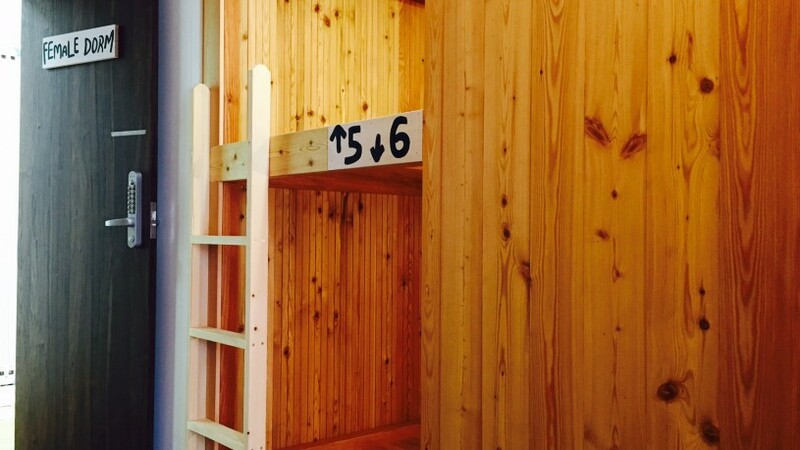 No-shake, 100% original, stable wooden bunk beds are waiting for you in central Hiroshima! We invite EVERGREEN guests from all corners of the globe. Only 5 minutes walk from “A-bomb Dome”. We’ve got a review award “8.4” in 2016! 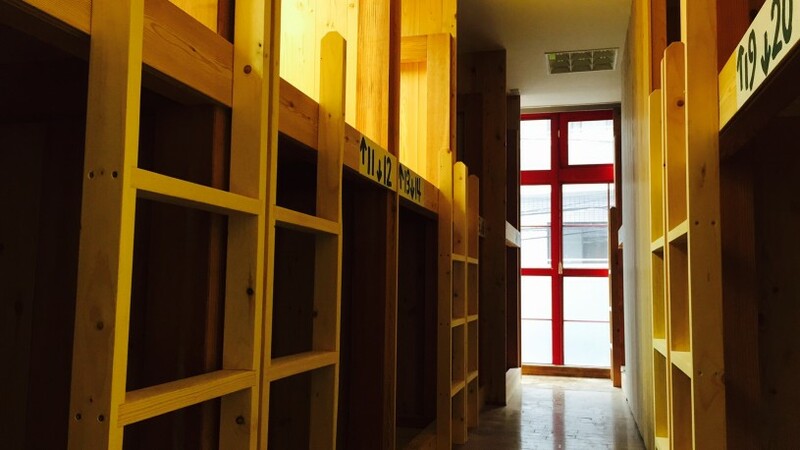 We offer mixed dorms (males & females) and female dorms. All bed has a reading light, a plug outlet and privacy curtains. just like an EVERGREEN tree or bush keeps its leaves for the whole year. Beds are available after 16:00, but you can check in from 9:00 and leave your luggage.There is no curfew after you check in. We tell you the entrance passcode. We can wait till 22:30 at the maximum, only when you contacted us beforehand. Free wifi is available both in lounge and in guest rooms. Kids over 6 years old can stay in our hostel. As for price, they will be counted as an adult. You can keep the valuables in the free safety box in the shared space.